There’s a first time for everything in a person’s life: your first time exploring the woods. There’s also the first time you run into a giant robot in the woods. Then of course there’s the first time you save that giant robot from electrocution. And lastly, there’s the first time you make your first nonhuman best friend. Last week Michael made Aaron do the Twist by introducing him to Ferris Bueller’s Day Off. This week Aaron takes Michael out from under the proverbial rock by revisiting Brad Bird’s cult classic family film. 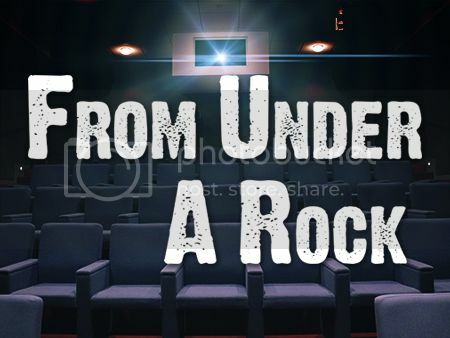 Aaron Hubbard: The first reason I chose this movie is because it is getting a limited theatrical release starting today, so it felt appropriate to take another look at it. But aside from that, I consider this to be the gold standard for family films. It’s appropriate and entertaining enough for children to enjoy it, but intelligent enough that adults can discuss the themes and not feel insulted by the film being too “innocent” like say…. almost all Disney films. Which I love, but this is easily my favorite American animated film not made by Disney. Michael Ornelas: I enjoyed this quite a bit, although my immediate impression was that it’s the animated version of E.T. : The Extra-Terrestrial. That’s not a bad thing, as that’s a classic kids movie, and both thoroughly explored the idea of a relationship with something other than a human, and how it should be valued every bit as much as interpersonal relationships. The Giant was an amazingly sympathetic character, which is not easy to accomplish when it has such an imposing stature, but it’s achieved by his appreciation and nurturing behavior with Hogarth. The fact that both characters need one another is what give the movie the majority of its charm. And you’re absolutely right about the mature themes in the movie making it something that adults can sink their teeth into. Aaron: I think what I really appreciated most about the movie this time was just how real the characters feel, and how nobody seems like a waste of time or a caricature. Hogarth is kind and compassionate, but he’s also ill-behaved at times and can be downright hostile; he’s just a kid written appropriately. His relationship with the Giant is the core of the movie, but his dynamics with his mother, Dean, and Mansley are all really strong as well. I feel like you could honestly do this movie today as a live action film with a CGI Giant and not have to change much, if anything, about how the characters are written. Michael: Sure, I can agree with that. I have a tendency to find kid characters stupid, bull-headed, and/or bratty in a lot of kids movies, which is why I usually prefer ones without them. But Hogarth actually added to my enjoyment of the movie, so bravo. But let’s talk about the titular character for a second: The Iron Giant. His arc is so interesting to me, because in a lot of science fiction, you get the conflict of how a robot is programmed vs. their “soul,” if you will. We see robots forced into doing bad things because that’s how they’re wired, but the dent in the Giant’s head (effectively glitching his programming) allowed us to see him solely as a character with character, and I was a big fan of that. My favorite moment in the movie was so small in the grand scheme of things, but spoke volumes to his character’s development. That was when he was flying through the air with Hogarth, trying to evade military jets, and his sights locked onto one of the jets, and he simply said “No.” and turned off the targeting. Throughout the course of the movie, he learned right and wrong, and many other things, and I thought it was very cleverly done. Aaron: The Giant’s growth as a character has always struck a chord with me. I love the idea of something that was clearly intended to be a weapon becoming something else. I also love how seamlessly the film uses little scenes to set up important things in the climax. Hogarth reading Superman comics. Hogarth telling The Iron Giant to stay put and it failing horribly. The scene with the deer. These are all little bits, but then they get turned around and become essential elements of the Giant’s character. “I am not a gun,” is one of my favorite lines in any film ever. Many people’s defining moment is stating what they are. The Giant’s is stating what he isn’t. Michael: It’s a great journey, seeing him fight against his programming, even once his programming totally kicks in and he becomes a MURDERDEATHKILLMACHINE in the climax. It’s against his will, but he snaps out of it, and decides to use his badass abilities to sacrifice himself to save humanity. 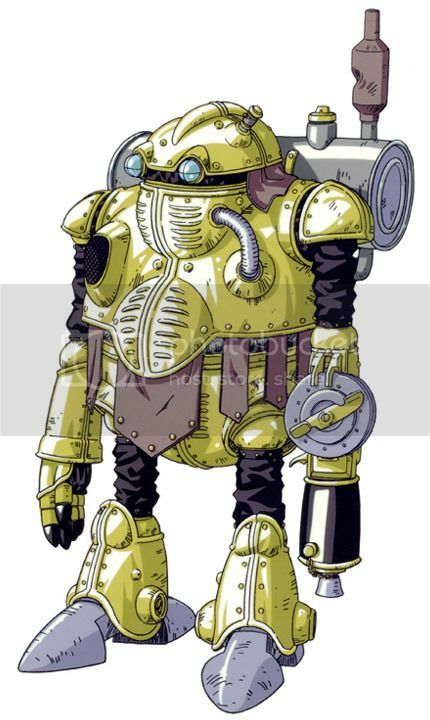 It actually reminds me a lot of the character Robo in my favorite game of all time, Chrono Trigger. 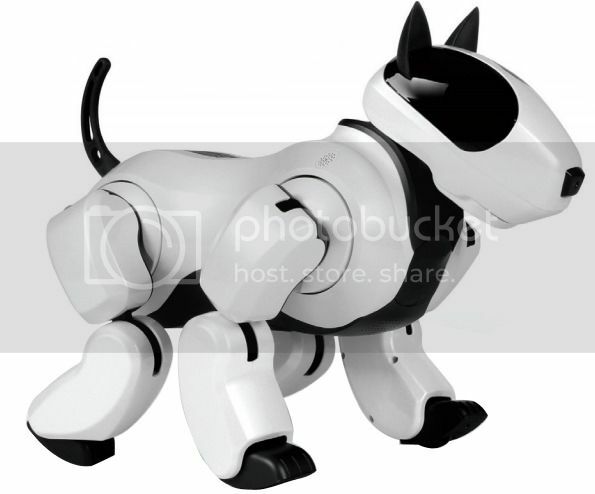 The malfunctioned robot whose bad wiring allows him to become an ally to humankind. But all things considered, this movie hit on so many levels for me. I even loved that Hogarth can’t even handle a pet squirrel at the beginning of the movie, and now he has to care for this giant hunk of metal. Everything is set up so well, like you said, and pays off later in the movie. Very solid script, great characters all around (even if I hated Mansley), and the animation was just as good as any movie from the time. Aaron: I find it interesting that you hate Mansley. Is this a “I don’t like how the character is written”? Michael: No. He’s just a great heel. And he’s so consumed with killing the Giant, that he accidentally throws humankind in harm’s way. Aaron: Right. Mansley is a fantastic villain. He’s not “cool” and he’s not sympathetic. He’s not even “badass.” He’s just consumed by paranoia and greedy for attention. And I think he’s essentially the reason adults connect so well with this movie; the character is an obvious allegory for Cold War paranoia and the negative effects of that time in our history. He abuses his power, he suspects that anything not American has to be a weapon, and he doesn’t even stop to think about the consequences of his actions. Kids may not be able to see that, but any parent who grew up in the 1970’s and 80’s who took their kids to theaters in 1999 certainly did. They all knew someone like Mansley. Hell, I still know people like Mansley. Aaron: Coming from the perspective of someone who’s watched the movie a few times, but not in a few years, I have to say I’m surprised by just how well this holds up. The characters of Hogarth, the Giant, Dean, Mansley, the old Colonel; those characters always stuck with me because they are so well defined. It’s a tight, efficient script with a lot of heart and care put into it. I also forgot just how funny the film could be; the “saying grace” scene almost brought me to tears. The climax with the Giant’s “You stay. I go. No following,” line actually did. I love this movie and will see it many more times. What other films with human/non-human relationships do you love? Michael: So my next pick is the movie that a TV show premiering in a few weeks is based on, and arguably Joel and Ethan Coen’s best movie. It’s a personal favorite of mine that I’ve watched at least a dozen times. Aaron: I’ve been meaning to see this film for a while now. 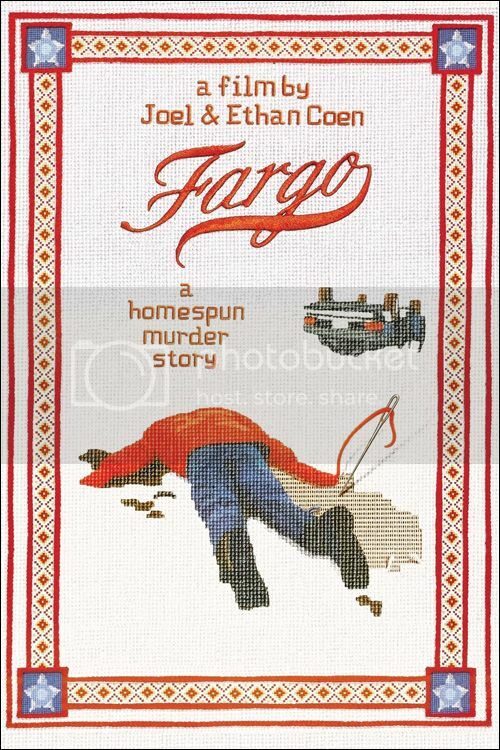 I have seen a few Coen Brothers films (No Country For Old Men being a particular favorite), but have never gotten around to seeing this one. I’ll be happy to check it out. What movie-to-TV adaptation is your personal favorite? Let us know below in the comments! 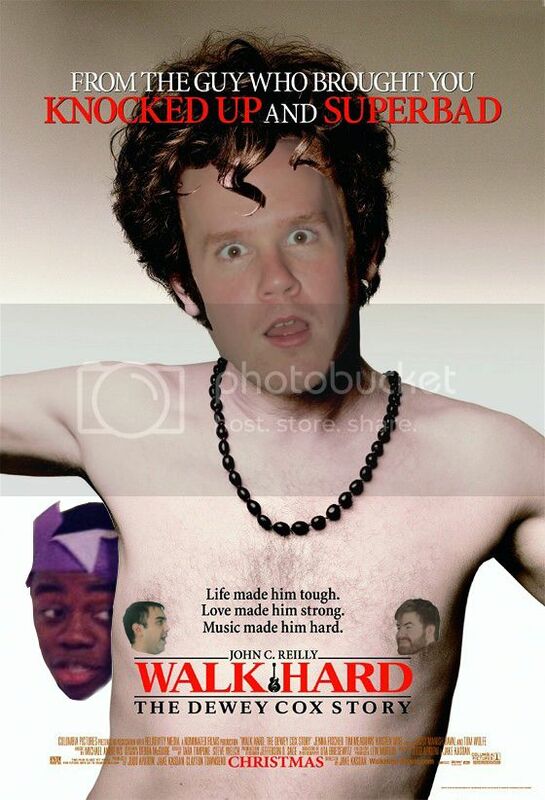 On this week’s edition of the “From Under A Rock” podcast, The Gilmore Guys join us and we watch Walk Hard: The Dewey Cox Story. We had a blast recording, and I’m sure you’ll have one listening! Brad Bird's 1999 animated family film has become one of those movies that has steadily reached a wider audience. It was a commercial flop when it released, but its quality has kept it alive and many consider it a classic in the genre. It treats audiences of all ages with respect, has strong characters with rich dynamics, and creates a genuine emotional connection with its audience. Arguably, it's the best non-Disney animated film in American history.